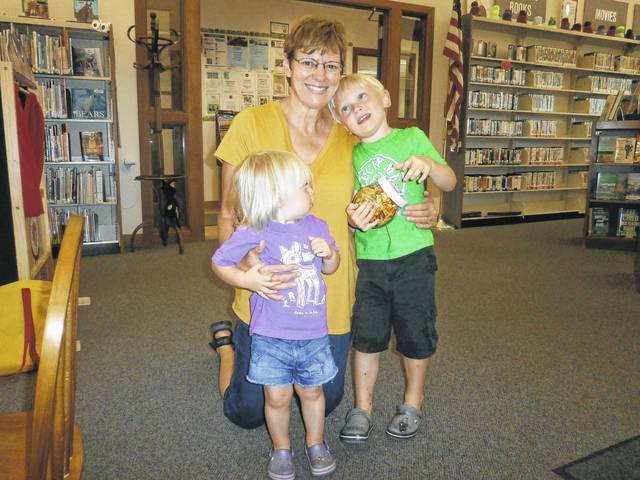 Sandy Parker (shown here with Hensley and Cole) was the most recent winner of Susan’s Secret Sweets at Jeffersonville Branch Library. She guessed the correct number of goldfish in the goldfish jar. Congratulations Sandy. https://www.recordherald.com/wp-content/uploads/sites/27/2017/07/web1_SANDY-is-the-winner-of-susan-secret-sweets.jpgSandy Parker (shown here with Hensley and Cole) was the most recent winner of Susan’s Secret Sweets at Jeffersonville Branch Library. She guessed the correct number of goldfish in the goldfish jar. Congratulations Sandy.